Why We Say, Our Way is the Best Way! Here's why we say, "Our Way is the Best Way!" From the beginning of our company (1998), before it even got the name "Best Way", we were founded on the timeless principal of "loving your neighbor as yourself." We interpret our "neighbor" as our small business clients. On purpose, we were determined to build a rock-solid on that Rock-solid Foundation. We believe that if we truly try to do what is in the best interest of our clients (that's loving them), it will strengthen our company. We also believe that is the reason we have experienced so little attrition over the years. When you really love people (care about them), they know it and they tend to stick around, even though you make mistakes from time to time. We operate under the sound conviction that the way we do business is the right way even if it is not the most profitable way. We will not sell something that we don't think will benefit our clients. We may lose a dollar, but we won't lose our character. We may lose a sale, but we won't lose any sleep over it. We will not sin to win. We're not going to lie to our potential customers to win their business. We will not deceive them with a lack of full disclosure. We will not "high pressure" them. We will NOT take advantage of their lack of understanding of our industry. We try to operate as a close family and we consider our clients to be brothers and sisters that we actually like. If we blow it with our existing clients, we will not lie to cover up our mistakes. We are human. We do our best, but it is never perfection. We will take full ownership of our mistakes, admit them and try to remedy them. We hope that is good enough for our clients and that such integrity will keep them with us. We don't believe "honesty is the best policy", we believe "honesty is the only policy." Here are a few "Customer First" distinctives that put a great distance between us and almost all of our competitors. We Talk with and LISTEN to every small business owner that comes to us for help. We always try to sell our clients "a shoe that fits." We actually TALK to every person that is considering a relationship with us. And we LISTEN. We know that there are LOTS of choices for them to "build it yourself" and we have our own "DIY" solution that is completely unique, too. Our website generator and CMS (Content Management System) enables us to create attractive, compliant, search engine friendly, mobile-responsive websites that are designed to convert visitors into clients. If you're in need of custom programming or applications, we can do it all in-house. We work through independent owners in your area that are authorized licensees of our program. This synergy enables you to have "the best of both worlds." You've got someone local that you can meet and talk to directly, and they've got the best tools available to create and maintain your website - The Best Way program. We call this "Local Owners with Global Power." 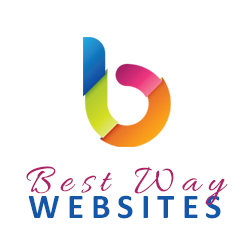 With Best Way Websites, Seeing is Believing, because we show you something that is better than a portfolio - your own, custom website demonstration. We will personally consult with you and then create a custom website demo for your review. If you like it, you can buy it. If you don't you are not obligated, and we part as friends. We take all of the risk. We provide the expert consultation FREE. We LISTEN. We provide the custom website demonstration FREE. We don't ask for a credit card. We won't send a bill. We learn what they want and we can work within any budget. We create a custom website for their review that is within their specified budget. If they like it, they buy it. They agree that they want to buy it! You cannot lose. Push the button below and request your free, custom website demonstration now!